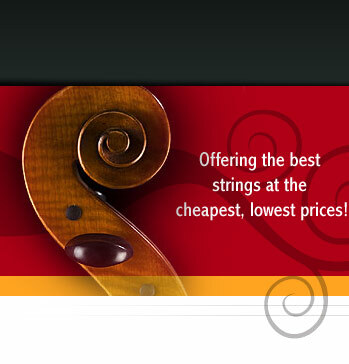 For Cello Strings, the best way to place an order is by using our secured shopping cart. Business hours are 8AM-5PM Monday-Saturday. If you need assistance we suggest that you email your requests so that our replies can show you the strings or links that you need. All prices quoted are in US dollars. We gladly accept payment from Visa or Mastercard. You can also pay (in advance with personal check, money order or cashiers check. We insure all of our packages. If any package arrives damaged, save all of the packing materials and contact us immediately. We will then arrange for the return of the goods. Any goods found to be defective within 7 days of receipt can be returned to us, but only after first contacting us for confirmation. The customer is soley responsible for insuring a return. String Emporium, is not responsible for goods being returned that were either damaged enroute to us, or being lost. We do not accept returns for any strings once they have been installed. Strings broken in or near the peg box are not accepted for return as this is usually the cause of the instrument or installation. Strings that are false in tone soon after installation can be replaced. Contact us if you have a defective string to return. For hard instruments cases, (i.e. violin, viola, cello cases and bass flight cases) we only accept returns on these items if the case was damaged in shipping, or found to be defective (and confirmed by us first). All returns will be replaced with same model and colors. We ship most of our domestic orders, US Priority mail. 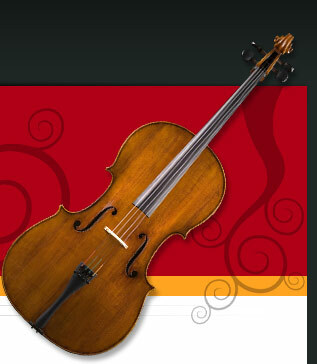 Violin, viola, cello cases and usually sent UPS or FedEx Ground. Your privacy is safely guarded. All personal and credit information given or supplied to us is strictly confidential and never shared or given to another party.